Nigeria is blessed with social entrepreneurs who have been making a difference despite the fact that they encounter series of challenges ranging from finances to earning people’s trust. One of them is Grace Ihejiamaizu, the founder of ikapture Network and Opportunity Desk. Festus Iyorah writes. Calabar, Nigeria—When James Okina, 17, graduated from secondary school in 2014 he wasn’t sure of what he wanted to do. As a young man, fresh from secondary school—he was confused. “I was contemplating on what to do. At first, I wanted to start a business, I was just completely clueless,” he says. The perplexity continued until he met someone who introduced him to ikapture network, a social enterprise and after school academy focused on providing education and leadership services to secondary school leavers and out-of-school youths in Nigeria using creative learning methods and ICT. “I went there and I was completely blown away. I have never attended such programme. It was a complete blend of fun and impact,” Okina told YNaija. 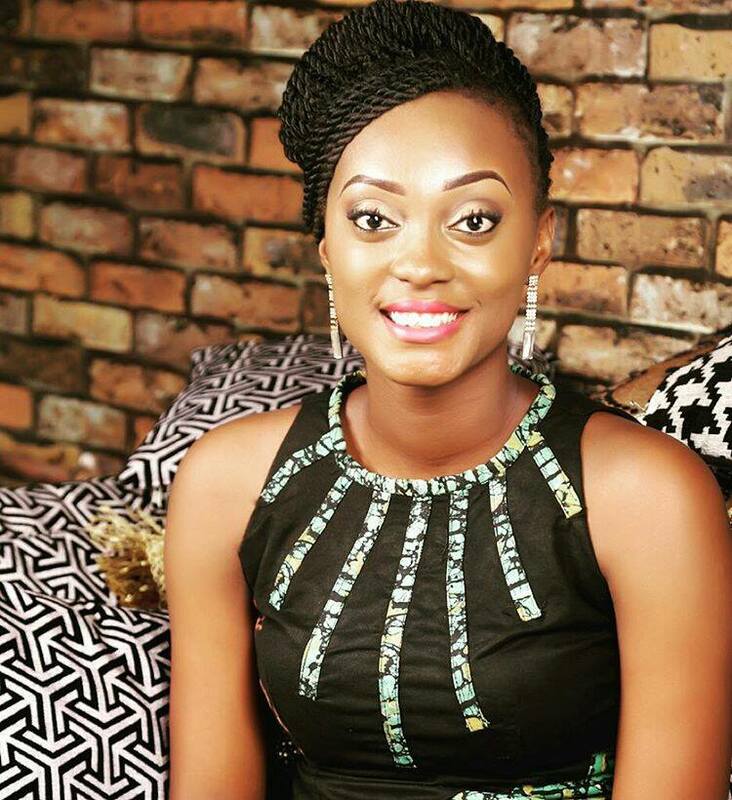 Okina is one of the young talented alumnus of ikapture network, a platform founded by Ms Grace Ihejiamaizu in 2013. In 2015 he emerged the winner of the Future Africa Leaders Awards for his project, the StreetPriests, a community-based, youth-led project that is tackling the problems of street kids in Calabar. In Nigeria, the numbers of secondary school leavers sitting for Jamb examination (to seek admission in the University) have increased in the last three years. Last year, 2016, Joint Admission Matriculation Board (JAMB), a board that conducts entrance examination for prospective undergraduate into Nigerian Universities said a total of 1,589,175 candidates registered for JAMB UTME Computer-based test. This is different from the 1.4 million candidates who registered in 2015. Surprisingly, the numbers of students who gain admission into the University are not up to a million, thus forcing many candidates to wait for another year. This inspired Ms Grace to establish ikapture network. Ms Grace told YNaija that the social enterprise was born out of an inspiration she got after she read startling statistics on the high level of employment as well as the number of people who get to sit for jamb but eventually did not get admission into the university. “I was really disturbed by the numbers. I was also wondering what will happen to the thousands of people who would have no other option than to just stay back at home and do nothing. So I really wanted to do something to engage them; to help them to go through another level of learning process while they wait for admission to the University. There are a whole lot of them but nobody pays attention to them, most development programs are not targeted to them. These are the people we are interested in,” she told YNaija. ikapture network provide post-secondary education services which includes academic tutorials for secondary school leavers to succeed in WAEC, NECO, JAMB exams in Nigeria, the iKapture Enterprise Development Program (IKEDP) which seeks to awaken the “Spirit of enterprise” in youths coupled with trainings on baking, coding, shoe making, bead making, blogging and graphic designing. One of the most important trainings ikapture offers to out of school youth and secondary school leavers is the YLEAD six-week intensive program. This program aim is to educate, engage and equip young people in their transitional years with the necessary leadership, personal development and entrepreneurial skills. Formerly known as RYPE (Raising Young Promising Entrepreneurs) initiative in 2011 where she trained and mentored secondary school leavers on entrepreneurship, personal development, leadership, sexual and reproductive health, ethics and value. In 2013, she turned the project (RYPE) into a sustainable social enterprise (ikapture) that will not be solely dependent on grants from international organisations and donations from firms but a system that can generate more revenue with an operation and overhead cost to sustain the project. “Even with the YouWin grant we haven’t broken even, we are still struggling but we’ve been consistent with what we are doing because we didn’t set up to make profit, we set up to make an impact. When we come to work we hear the stories of people’s lives that have been transformed, people who seek solace in what we are doing. That’s what keeps us going,” Ms Grace said. Her initiative has received support from Nigeria’s YouWin initiative, Michelle Obama Young African Women Leaders Initiative, British Council and Ashoka Changemakers. Beyond the knowledge base trainings ikapture network offers to out of school youth and secondary school leavers. The network is also a breeding ground for young entrepreneurs to get trainings and grants to support their ideas or startups. From the stable of ikapture network, young entrepreneurs in the city of Calabar and Cross Rivers have benefitted from SmarterPrize entrepreneurship competition. In a bid to avoid idleness after secondary school, the entrepreneurship competition focuses on secondary school leavers between the ages of 15 and 24 years. This unique entrepreneurship competition is necessary especially at a time where Nigeria is ravaged with high rate of unemployment. A report released by the Nigerian Bureau of Statistics shows that about 1.5 million Nigerians became unemployed in the first quarter of 2016. In its unemployment and underemployment report released last year, the NBS said the country’s unemployment rate grew from 10.4 percent in the last quarter in 2015 to 12.1 percent. Beneficiaries of this competition are entitled to a start-up grant, business mentoring and work space for 6months. The first prize gets a grant of N100, 000, second prize winner, N75000, and the third prize winner gets N50000 in prize money for their ideas. Ms Grace Sojourn into the world of social entrepreneurship is traced back to when she joined Students in Free Enterprise (SIFE) organization, now Enactus. At 18, she was the project director of her SIFE team at the University of Calabar. For Grace, SIFE was the springboard to her success and greatness in social entrepreneurship. “I was coming from a place of fear, low self-esteem, rejection and so many negativities and one thing I kept saying to myself then: I can’t settle for less,” she said. After the self-discovery, Ms Grace started off with opportunity desk after she attended a program organised by the British council in Belgium. During the program, she realised that most people are not aware of opportunities (conferences, workshops, grant, contest, scholarship, fellowship, internship and awards) that will help shape their career. Upon arrival in Nigeria, she opened a Facebook group named “opportunity desk” where she posted opportunities for youths across the globe. In 2013, she opened a new website for opportunity desk. Opportunity desk is the one stop place for all global opportunities. It bridges the gap to education by sharing information on relevant learning and growth opportunities for youth around the world. Since its inception Opportunity desk has reached thousands of youth from 200 countries across the globe. 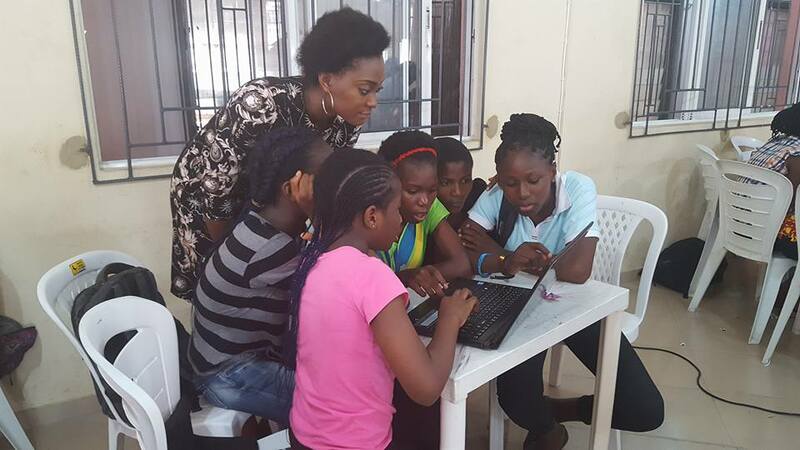 Then in 2013, Ms Grace, also a lecturer at the University of Calabar started ikapture network, a centre for youth development in Nigeria that has reached over 3000 young people since its inception. She’s also a curator of the Global Shaper of the World Economic Forum, Calabar hub. Her works as a social entrepreneur has earned her several awards and recognition. In 2011, she was named one of Google’s 12 brightest Young Minds and a Global Changemaker in 2012. 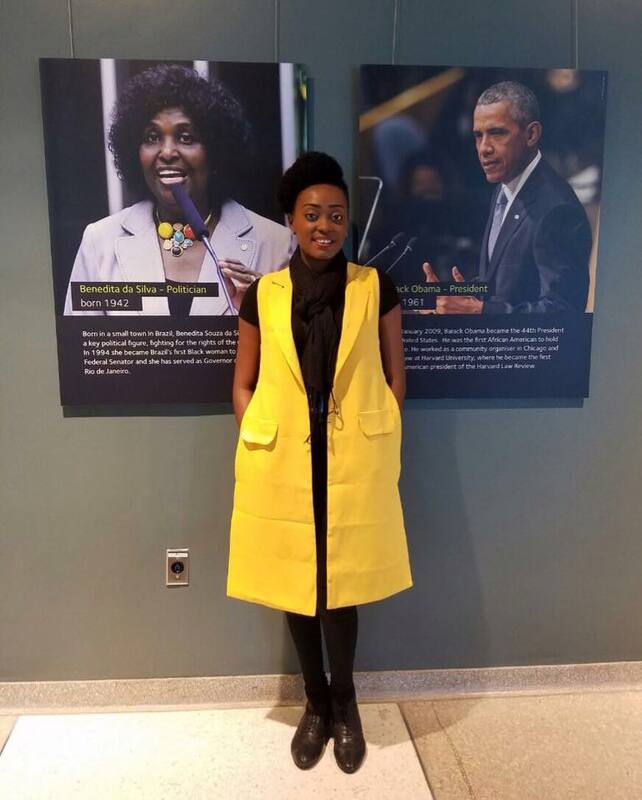 In 2013, she won the Future Awards Africa Young Person of the Year Prize and in 2016; she became a Mandela Washington Fellow of President Obama’s Young African Leaders Initiative (YALI).